In November 2018, Google began rolling out a new Google My Business update that essentially eliminated the need for service area businesses to include their addresses in their Google local listings. Service area businesses are enterprises that deliver goods and services directly to their clients. These include plumbers, restaurants, cable and Internet providers, repairmen, painters, and other industry professionals. So what does this change mean for your Google business listing? Keep reading to find out. One of the biggest changes you’ll notice on your Google My Business dashboard is that you now have the option of removing your address entirely. What this does is it identifies your business as a service business and lets your customers know that instead of having them come to you, you can go directly to them. Google allows businesses that don’t have a storefront or street address to leave this section empty. 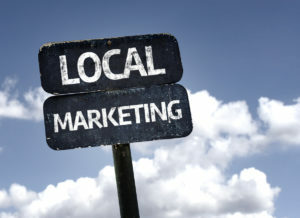 Furthermore, you can list the cities that are part of your service area to boost local business rankings. If your service business address was cleared by Google during the initial rollout, then don’t bother adding it back in. Adding it back in means you’ll have to get the address verified again by Google. The problem with this is that during the verification process, which could be lengthy, your address and service areas won’t appear on Google Maps and this will make it harder for customers to find out which areas you serve. The good news is that Google will still be able to locate your business even after the address has been deleted. The only difference is that the address won’t appear on your Google business listing when people search for your company or services. Since Google still has your original address cached, your local rankings will still be based on that address. Any time customers perform local searches, your business knowledge panel should still show up on the search engine results page. The previous method was to include service areas that were within a certain range or radius of your business address. Google has removed this step and replaced it with something much simpler. Now, you can just choose which postal codes, zip codes, and cities you want to serve. Local listings and rankings will be based off of your selections. This may sound a little over the top and confusing, but it’s necessary. If you move to a different location, you should enter in your new address so that Google can verify it. Then, clear the address. Otherwise, Google will continue basing your rankings off of your previous location. Understandably, a lot of service business owners were very confused when they logged into their Google My Business accounts and saw their commercial addresses were unexpectedly removed. It may take some time for you to get used to this new update. If you need help managing your Google My Business listing, then contact the SEO and web experts at Numero Uno Web Solutions. We’ve helped countless small and medium businesses maintain strong online presences and we can help you too.